A Salt Scrub with holistic effects that will naturally boost your body and leave you feeling amazing!! For many people using a body scrub is more of a luxury than a necessity. 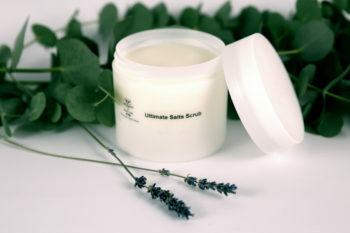 However, using a scrub can not only help enhance the health of your skin but can also enhancing your well being.. 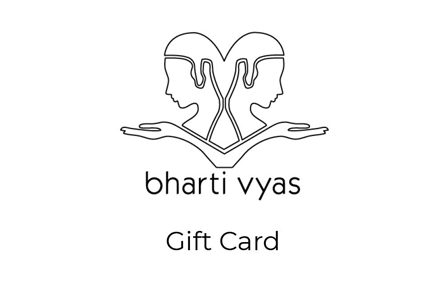 When Bharti Vyas created her Ultimate therapy Salt scrub, she developed a spectacular product, which has benefited hundreds of people, who have made it part of their daily skincare ritual. The idea of any scrub is to act as an exfoliant; helping to get rid of dead skin cells, refine, rejuvenate and re balance skin tone. Ingredients used as exfoliates include sand, micro beads, salt, sugar and many more. We use salts from the Dead Sea , which are renowned for their therapeutic effects. In fact, salts from the Dead Sea contain 10 x more minerals than any other Ocean in the world. The salts are blended with natural essential oils including rosemary, Vitamin E and lemon to not only remove dead skin cells but to nourish, balance, heal and moisturize the skin too. What exactly will the Ultimate Salt Scrub will do? Heals the skin – great for treating hyper pigmentation and superficial scarring for example from spots or picking at the skin. For treating in grown hairs – ingrown hairs are a result of hair getting trapped under the skin due to a build of dead skin cells. This is common for those who wax or shave their bodies. The essential oils will moisturise, stimulate and nourish your skin. It will help maintain an even tan for longer as using the salt scrub would have evened out your skin tone. Start at the souls of your feet, working your way all over your foot, and then using large sweeping motions, use a friction massage to work in the scrub onto your legs, until all the salt has sloughed off and you are left with soft skin. Always sweet towards your heart, so it can assist in helping to stimulate your circulation and energise you. Do the same to your stomach, chest, arms and back (maybe help to get someone to your back for you if you can!!) Just remember always move upwards in large, deep circular movements. Focus a little longer on those problem areas.